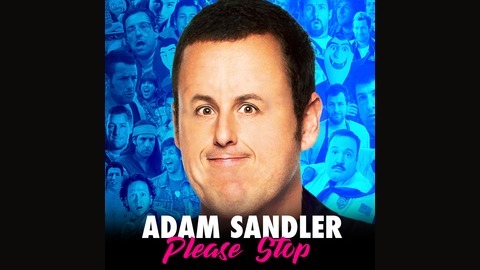 Adam Sandler Please Stop is a complete retrospective of all Adam Sandler films past, present, and unfortunately future. It's hosted by Sandler fans; Robert Bacon, Marie Maloney, and Caleb George who are disappointed and disillusioned with his current string of terrible films. Each week they watch an Adam Sandler movie together in order of theatrical release to discuss and rank them. Currently, after watching every Adam Sandler, Kevin James, and Rob Schneider film ever made they have decided to enroll in Adam Sandler Film School. A relentless string of horrible films featuring Sandler and starring his less talented friends. For more info check us out on facebook, twitter, or our website www.AdamSandlerPleaseStop.com.